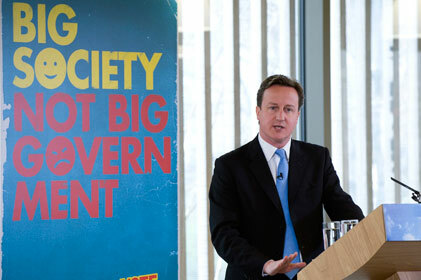 An NGO comms expert has advised charities to avoid using the term Big Society, after Prime Minister David Cameron this week attempted to breathe new life into the initiative. In recent weeks, the Big Society has faced growing criticism from volunteering groups, charities and politicians. But this week, Cameron launched a major defence of his controversial plan, declaring it his 'mission'. However, such is the negative impact of the term Big Society that charity PROs are now being advised to steer clear of it in their comms. Charities have also been advised to be more localist in their comms. Bell Pottinger research of 2,004 members of the public released yesterday shows that 51 per cent of people are keen to contribute to their community compared to just 20 per cent who say they are keen to contribute to society in general. 'For national charities this means they need to demonstrate the value they are adding locally and engage at a local level too,' argued Claire Cater, group director for Big Society and behaviour change at Bell Pottinger. CharityComms director Vicky Browning said the research underlined how the Government had failed to communicate the Big Society agenda effectively. 'In this case it comes down to confusion between what community means versus what society means,' she argued.